I am not surprised to see elite runners who race on the road or track openly share their faith after an event or in an interview. However the lack, if not absence of this has been a little surprising to me as I listen to top athletes who compete at ultra-distances. As I look at the top runners who compete in the 100m to the marathon, many of these athletes openly praise God and thank Him for His help in achieving their goals. The top U.S. distance runner, Ryan Hall is probably one of the most notable and has often been attacked for his strong conviction regarding our Savior. This type of gratitude and acknowledgement of God is not unique to American runners but is heard around the world if you listen to interviews from Ethiopian or Kenyan athletes for example. I find it interesting that this connection between faith and running is not as visible with elites in the ultra-world. I would have thought that those of us who run in the woods and are surrounded by God’s creation would be more open to acknowledging His role in our life. We are a group that push the physical, mental, and spiritual limits of what many believe is possible and personally I rely on Him to help me get to through training or a 100 mile race. I realize this is a very broad generalization but have been surprised by the absence of God being mentioned in interviews with some of the ultra-runners I listen to on my favorite running podcast Talk Ultra and Ultrarunner Podcast for example. Maybe I Am Just Reading Too Much Into It? I have made some wonderful friends this year through running and almost all of them have been while on trails. A few have shared a similar belief in our Lord, others beliefs were unclear, and some were confident that they believe in nothing. I am respectful of everyone views but have been interested by this observation as I continue on my journey. As I thought about this post, I came across 2 articles that definitely challenged my oversimplified views. Once again, I don’t know what Sheryl believes but the mere fact that she can do that was impressive to me. I guess I am always looking for others who share my strong connection between running and faith whether they are winning the Boston Marathon or the individual who is looking to finish the race set out before them. 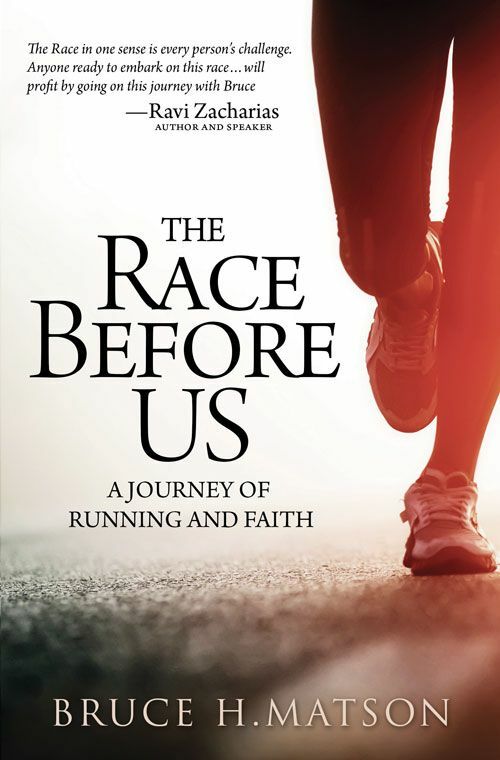 Recently I read The Race Before Us, A Journey of Running and Faith by Bruce Matson. I was encouraged to hear how running has played such an important role in his faith. Neither of us are elites and there were many parallels to our stories. Bruce is an attorney who used his education to challenge and ultimately resolve many arguments for himself that Christians often struggle with. Although I did not put myself through such a formal process, it was refreshing to know I was not alone in this type of journey. We relied on many of the same individuals, such as C.S. Lewis and Alistair Begg, to help inspire us to look at His word in a new way or gain a different perspective. It was wonderful to read Bruce’s story and if running and faith are important in your life or someone you know, his book might make a great gift this year. I am thankful to have read the stories from Bruce, Jon, and Sheryl in recent months. It is exciting to know that I have many brothers and sisters who share a love of God and who openly thank Him for all the amazing blessings He so freely gives us including running. Whether we are on the track, road, or trails and regardless of the distance, I do believe there is one God who makes it possible for all of us regardless of what someone may believe. 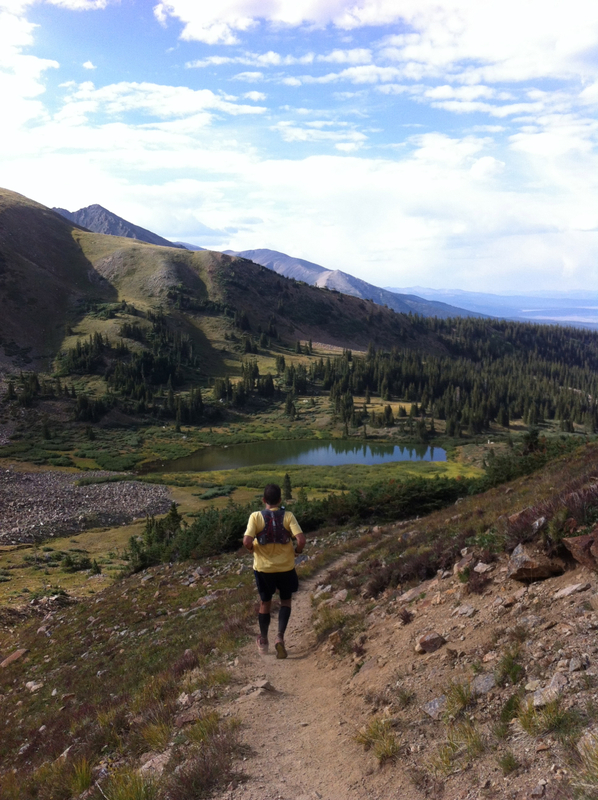 This entry was posted in 1 Corinthians, Challenging and tagged Faith, fitness, God, Marathon, running, Ultramarathon, Ultrarunning. Bookmark the permalink. Great post. The insight, creativity, challenge, and reflection that you have placed in this condensed post is inspiring. God gives meaning and purpose to our challenged existence; relationships, running, and racing provide opportunities for clarity in His True Presence. Let me and “us” never run to fast or too focused to miss those opportunities. Thank you Bobby Goat! As someone who spends more time on the trails with me than anyone, I am blessed to have someone as supportive as you on those runs! Great read, man. Especially the brilliant quotation from Jon. Raheel, Thanks for the comment! His quote truly captures what I believe many of us feel. God truly blesses us, and I love being reminded of this. Thanks also for helping me to be more confident of my faith in the blogosphere in the future.